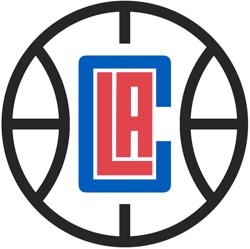 On Friday, California lawmakers approved a bill that allows a proposed Los Angeles Clippers arena to receive an expedited judicial review process if it faces a challenge over environmental concerns. The Clippers are currently exploring the potential construction of a new arena in Inglewood. If constructed, the venue would be part of a larger development that includes a practice facility, outdoor plaza, retail space, team offices, a sports medicine center, and perhaps other features. “I think that the environmental elements, the economic impacts are going to be extraordinary,” Sen. Bob Hertzberg (D-Van Nuys) said. The Clippers say they needed the assurance of swift resolution of any challenges to allow for construction to be completed by 2024, when the team’s current lease at Staples Center expires. Approval of such legislation is not uncommon for certain development projects in California, including new professional sports facilities. In fact, legislators also voted on Friday to approval a similar bill for a proposed Oakland A’s (MLB) ballpark in Oakland. California governor Jerry Brown still has to sign the bills. The arena is in the discussion phase, so the Clippers have additional hurdles to clear if it is to move forward. Proponents have billed the plan as a job-creator and potential boost to Inglewood’s economy, though groups such as the Uplift Inglewood Coalition have been fighting the concept over its potential effect on housing prices. It has also drawn the opposition of Madison Square Co., owner of the nearby Forum. Earlier this year, MSG sued the City of Inglewood and a Clippers-controlled company, contending that Inglewood mayor James Butts knowingly deceived it into surrendering a lease on vacant city-owned land that is being considered for the Clippers arena project. Furthermore, the lawsuit contended that the proposal involving the Clippers violates MSG’s development agreement with the city. If the proposal moves forward, the arena and development would be privately financed. It would be constructed on a multi-acre, city-owned site bounded Century Boulevard, Doty Avenue, 103rd Street, and Prairie Avenue, located near an under-construction NFL stadium that will open for the Rams and Chargers in 2020.